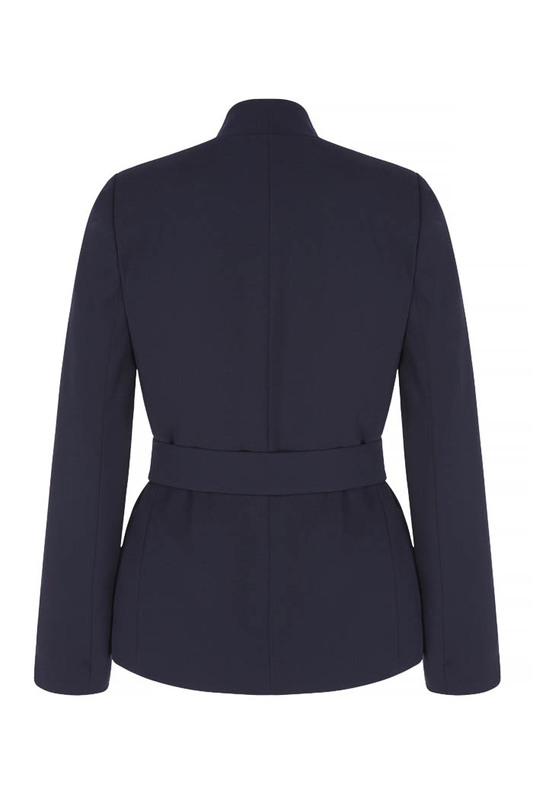 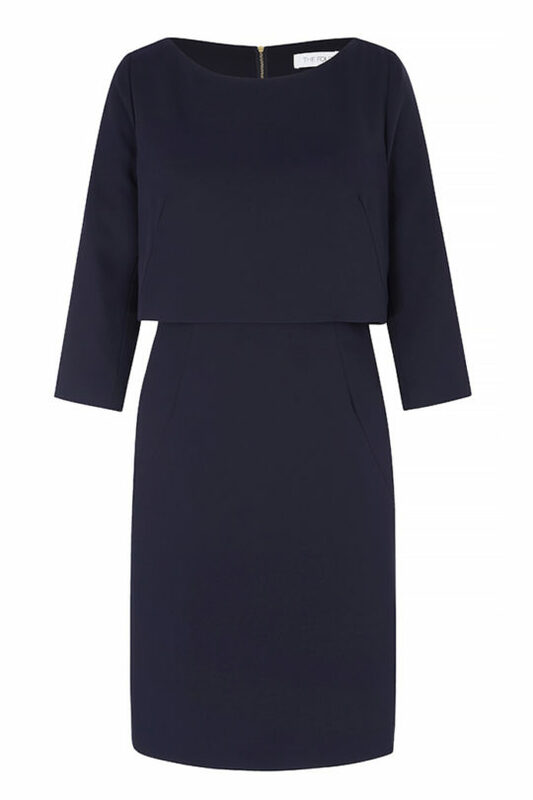 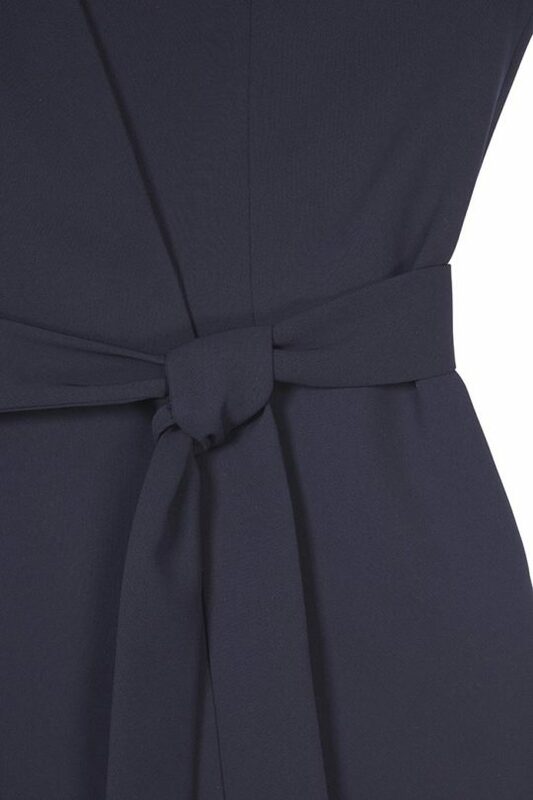 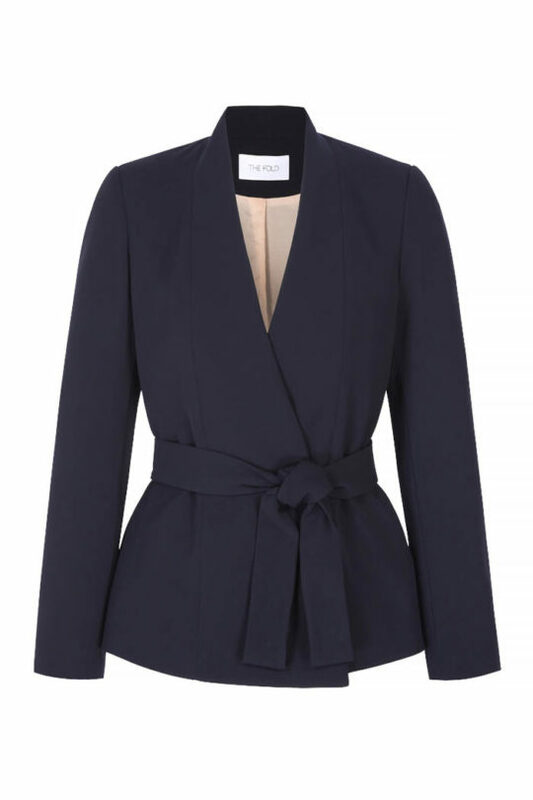 Stand out in the office in this smart, kimono-style navy wrap jacket. 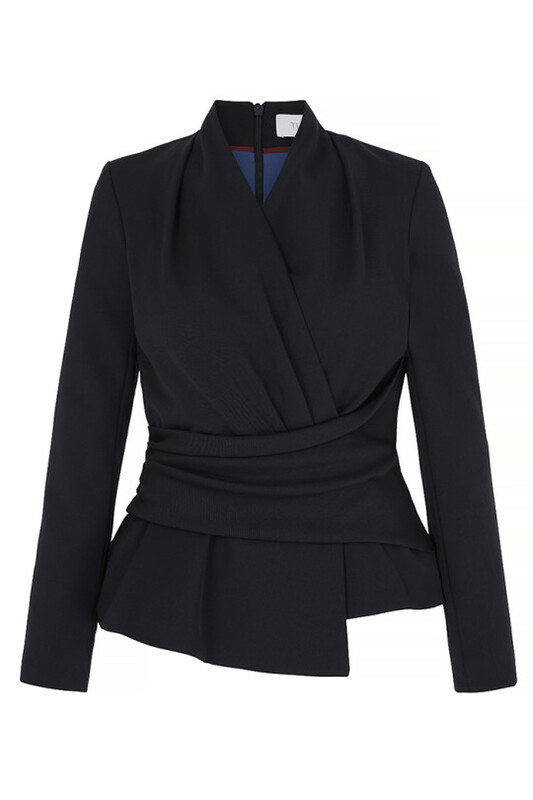 This elegant wrap jacket is cut in a soft twill fabric and ties at the waist with a coordinating belt, highlighting your frame. 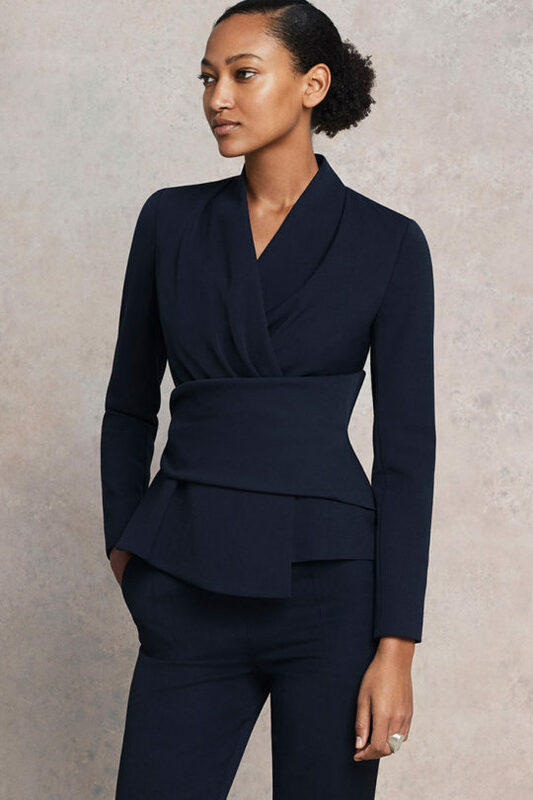 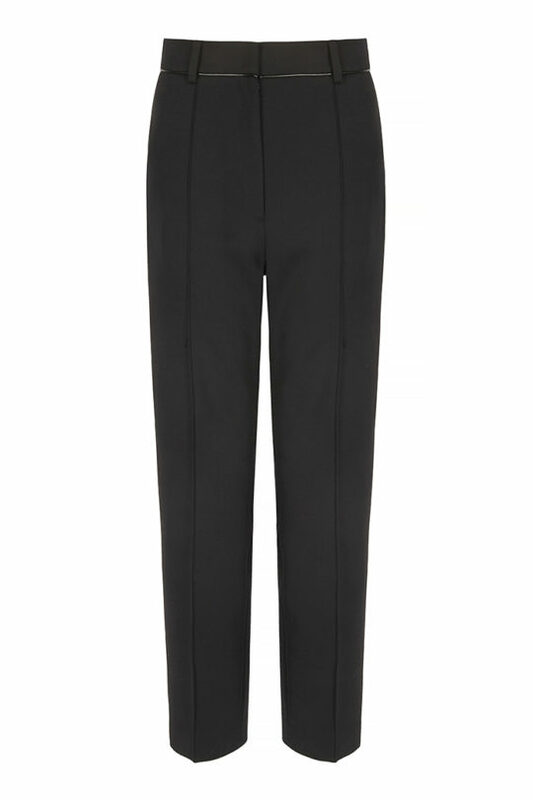 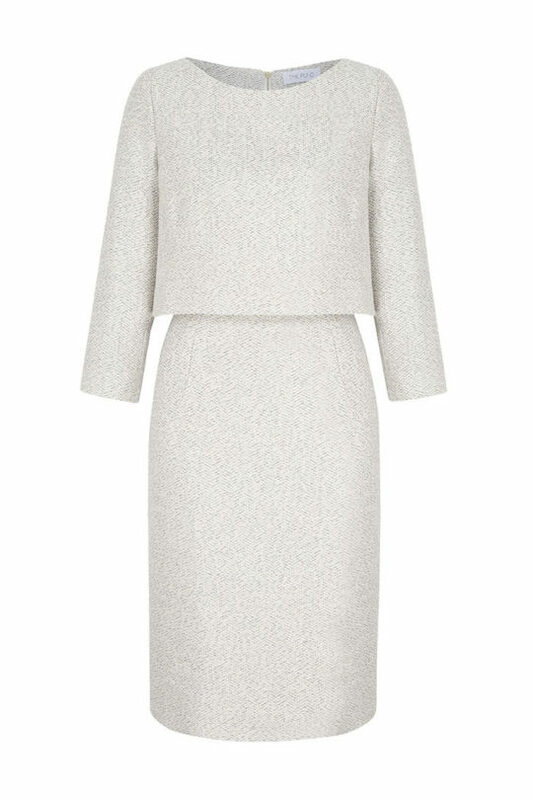 Clean lines and a soft, fluid shape make this an effortless and comfortable layering piece that will complement your wardrobe for years to come.